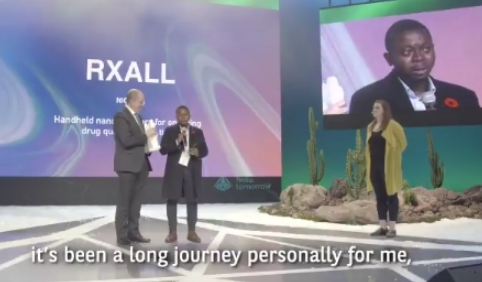 Nigerian victim of fake drugs, Adebayo Alonge, who decided to invest his time in curbing fake drugs was in tears as he becomes the first African to win the DeepTech Global Challenge with his invention of handheld nanosanners to ensure drug quality. 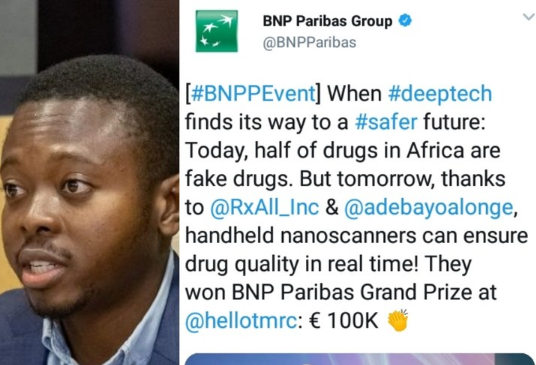 He also won a BNP Paribas Grand prize of €100K. A big congrats to you, Adebayo!